1. Obturator Foramen is a large gap in the hip bone, situated anteroinferior to acetabulum, between the pubis and the ischium. 2. It is large and oval in males, and small and triangular in females. 3. It is closed by the obturator membrane which is attached to its margins, except at the obturator groove where the obturator vessels and nerve pass out of the pelvis. (iii) a strip along the inferior margin of the bone including the ischial tuberosity. The ischiopubic rami fuse with each other at 7 to 8 years of age. The secondary centres appear at puberty, two for the iliac crest, two for the Y-shaped cartilage of the acetabulum and one for the ischial tuberosity. Ossification in the acetabulum is complete at 16-17 years, and the rest of the bone is ossified by 20-25 years. The anterior superior iliac spine, pubic tubercle and crest and the symphyseal surface may have separate secondary centres of ossification. 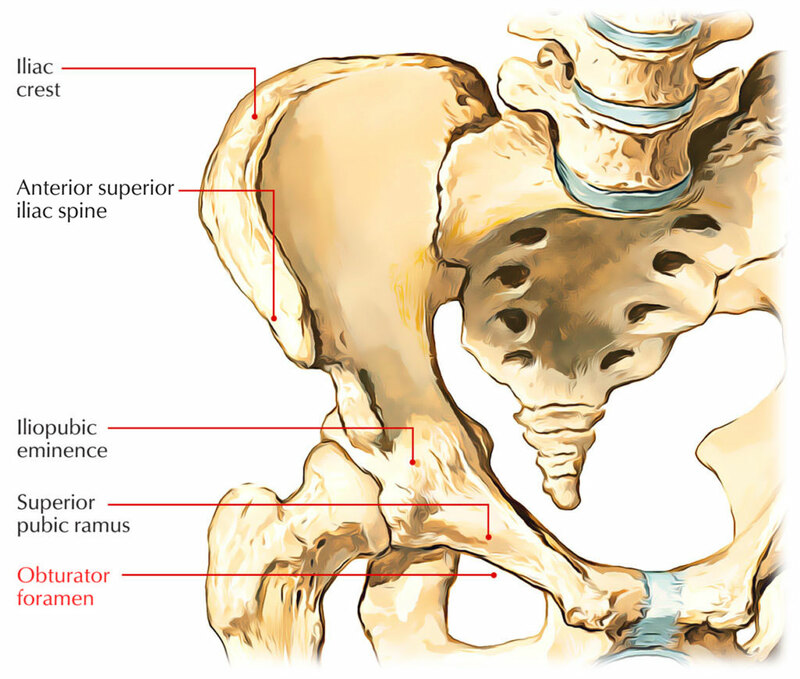 The following characteristics help in finding out whether a given hip bone belongs to a male or a female.